Writing a full-length article can be difficult at times, so you may think that writing article summary templates will be a walk in the park. But, sadly, the task can still be tiresome. If you do not have the necessary tools and know-how, article executive summary writing can be as daunting as writing a full article. So, if you are tasked to create your own summaries of articles you have read, but you do not know where to start, there is no need to fret. In this post, we provide different examples of article summary templates that you can use for almost any kind of article piece in existence. You may also see Executive Summary Templates. What are article summary templates? We have mentioned earlier that this article is all about article summary templates. But, before we delve into the intricacies of summary report templates, let us first define what an article summary is. An article summary is a concise recap of a piece of writing. This write-up may come in the form of an academic article, an essay, a research paper, a scientific treatise, or even a feature story. There are different guidelines for writing a summary of each kind of article and we will explore them in more detail later on. In the same vein, an article summary template is a guide or outline that will help you create an article summary. 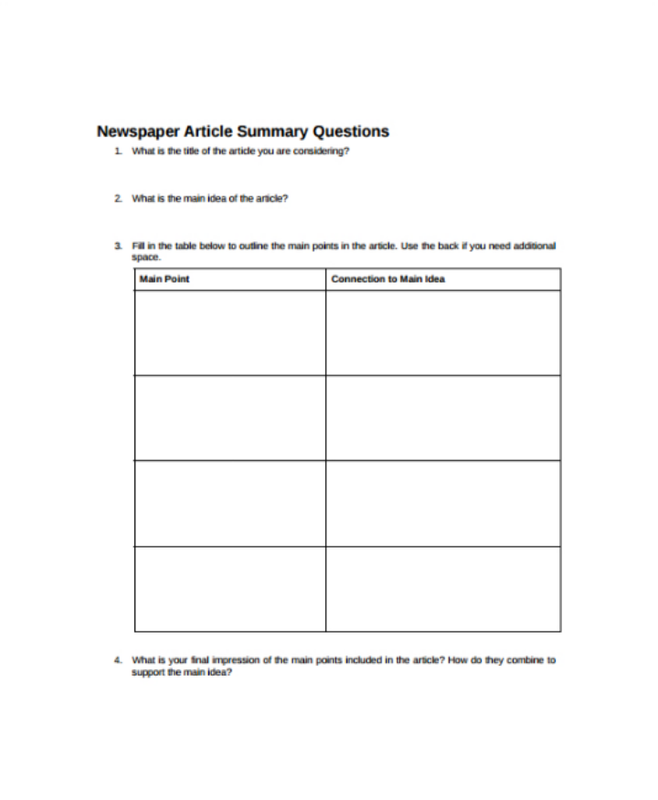 These templates may include questions that writers need to answer or blanks that they need to fill out to complete a section of a summary report. What follows next are 10 downloadable article summary templates for different kinds of articles. Read on and use them for any writing project assignment that you may have. The difference between a synopsis and a summary may be subtle, but writing the latter is relatively easier if you have a summary template like the Academic Article Summary Template (shown below). As its name suggests, this summary template is best used when you are tasked to rehash an academic article. Academic planning articles mostly refer to articles written in scientific journals, nonfiction books, and textbooks. 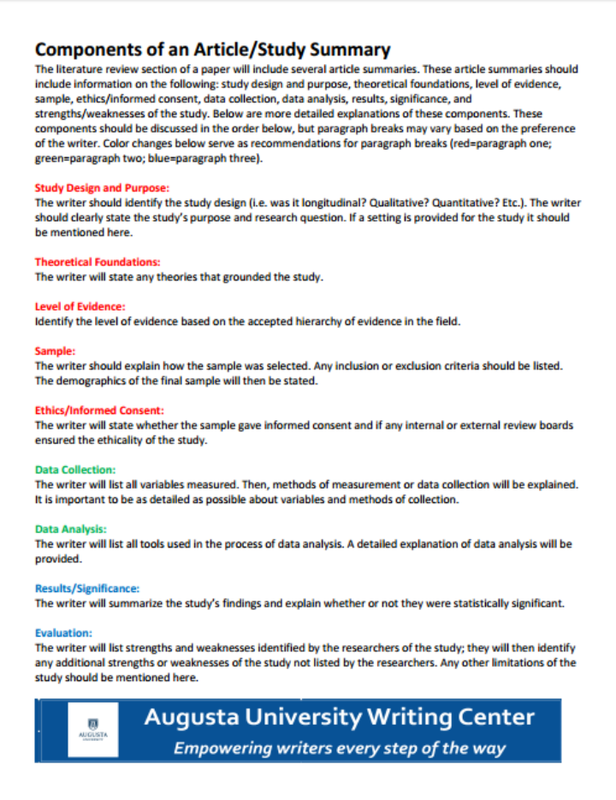 Clear-cut rules for writing an academic article summary are detailed in the template above. If you want to use this same summary template for yourself or for your school, do not forget to credit the original creator. Also, remember to use your own school logo design and letterhead designs. This is to differentiate and formalize your own school rules. The Blank Article Summary Template embedded below is an example of a template that can be used for any kind of article. School administrators may use this as a base template before they finalize a template design for their own organization’s article summary template. You may also see executive summary samples. In the article summary template above, writers are asked to fill in key vocabulary and summary information for a journal or publication article. Ample space is also provided in the template. 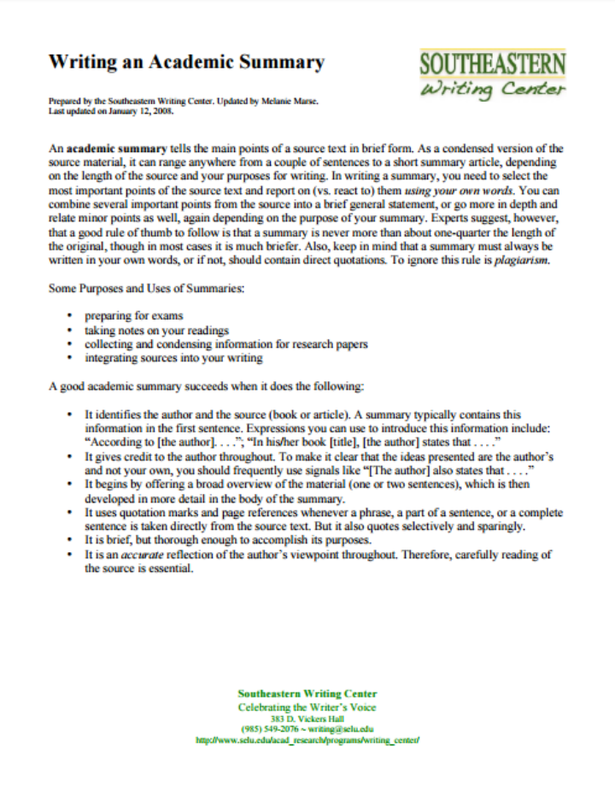 It is best to use this approach when formulating an article summary template when you want the students or writers to provide the necessary information on a standard-sized piece of printed paper. But if you are an organization that allows your summary templates to be downloaded online and college students can type up their answers before printing out the document, you may have to leave out the template lines. Tip: Do not forget to add your school’s seal or logo design. Are you looking for a way, to sum up, a journal article? If yes, this Journal Article Summary Template (shown below) may be the answer you are looking for. Reviews and summaries of social science journal articles follow the APA formatting and style guide. The template example listed above includes an explanation on how to do this. But, for more information on this, check out this article on how to format a bibliography in APA style. As for the article summary portion, make sure to always include sections for the introduction, study procedure/s used, findings, conclusion, and personal comments. Tip: When writing journal article summaries, make sure to always quote sources correctly as this may be a ground for plagiarism and a subsequent mark against you. Newspaper articles are a different kind of beast to handle when writing article summaries. But, if you want to learn more about this part of the professional writing trade, check out the Newspaper Article Summary Template (embedded below) to help make your job easier. In the summary template above, you are asked to enter basic information about the newspaper article you have just read. In addition, a newspaper article summary should include the main points talked about in the article and how these talking points are connected to the article lead or topic. This is a very important portion of the newspaper article since this gives those who study the articles a holistic view of the topic and how the article was written. When creating your own newspaper template, it is best to use a single page for the entire template. Most newspaper articles, especially news articles, are concise, direct to the point, and will not need a lot of space to summarize them. Are you in the healthcare field and looking to organize all the nursing literature articles for your thesis? Let us help you by introducing you to the Nursing Literature Article Summary Review Template featured below. The template shown above can be used both as a nursing literature article summary template and also as a nursing literature review template. When creating this template, always make sure to provide ample space for writers to fill in their responses. Just like writing nursing care plans, articles written about the healthcare plan field tend to be long since they require accurate sources. Why should you use article summary templates? Article summaries are mostly used and required for academic purposes. College professors may ask their students to write them as a course requirement while librarians may write article summaries as a way to organize and facilitate the easy retrieval of the different academic and scientific journals in their library. Anyone get into the habit of writing article summaries as a study or memory aid. To make the article summary creation process easier. When you have a guide to help you do things, the task will undoubtedly become easier to accomplish. This same principle can be applied to the use of article summary templates. These templates will often include simple instructions on how to write and format article summaries. And, depending on the type of article you are working on, these templates will serve as a sample framework for how your summary of the article will be written. They may contain talking points, questions to be answered, and helpful hints that will guide you in making the article summary writing much easier. To save time. A certain level of background knowledge and understanding are also needed for a person to properly internalize an article. This process may be hastened when a writer has a topic guide or hint and will be able to locate this information in the source article readily. Using an article summary template to write an article summary will help decrease the total time that a person will probably spend on writing articles (especially articles about research proposals and scientific treatises). This is because they will have guidepost questions to follow or answer. And, even if some articles can take a lot of time to read, the writer will already know how to answer and write about them with the use of a guide. To save money. The use of article summary templates is another money-saving strategy template for students and professionals because the tools pay for themselves in the long run. To illustrate, when a student writes a summary of a scientific research article from a science journal, he or she can retrieve this summary as a reference for future tests or for his or her thesis proposal. The student then saves money by no longer needing to take that bus or train ride to the local library during test time or by having to buy the entire journal again in case the student needs that article. This may be an indirect effect, but for those who are strapped for money, using article summary templates can be a practical choice. To standardize article summary content. 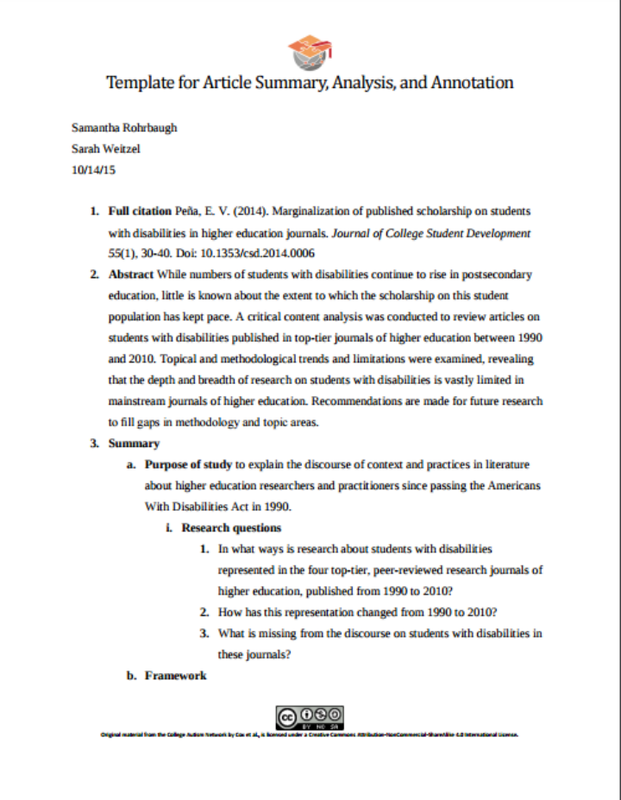 In order to standardize their grading and review process, some academic institutions and organizations may also ask students to follow an article summary template created by a faculty member. This action promotes fairness and uniformity and the approach is preferred over having grade disputes. It is also easier for professors to grade papers that follow the same summary business plan template since they will know what to look for or watch out for in student submissions. To make the article review process easier. Aside from making sure that the article summary creation process itself gets easier, the use of article summary templates also helps make the literature review process easier. In cases where articles are submitted for review prior to publication, editors may prefer to read an article summary instead of reading the whole thing, making the review process quicker. This approach is followed by journal publications and even English composition teachers who want to make use of their time well. To make a good reference guide. Article summary templates also help individuals create better reference guides. These guides may be used for non-fiction articles or books, scientific journal articles, research case studies, and even study notes. By following a summary template when you create an article summary, you will have a compendium of all the materials that you need to create or prepare for a specific task. You do not have to lug around and frequently refer back to the source article for reference since you will already have a handy and concise reference guide. 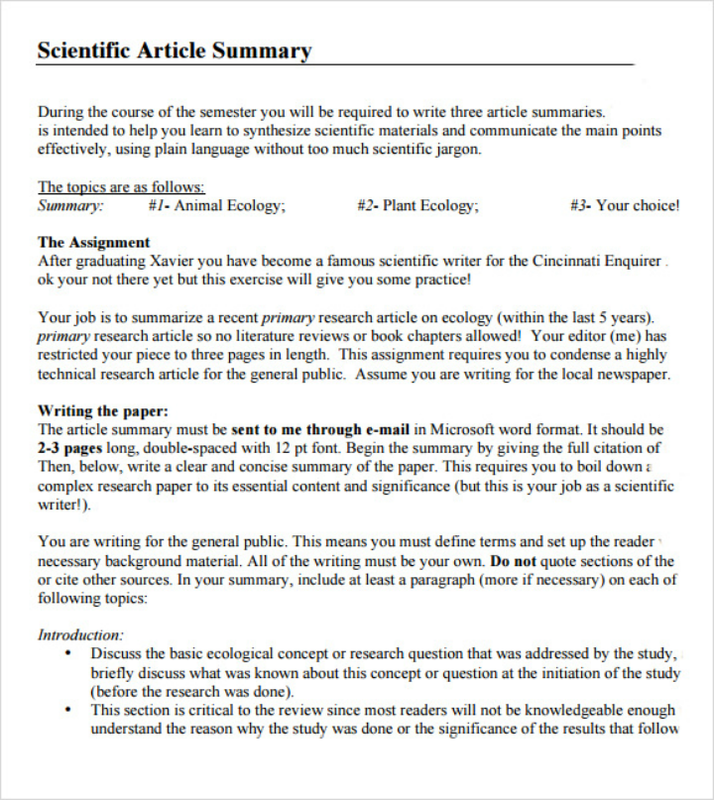 The Research Article Summary Template shown above is an example of a summary template for scientific research outline articles. It is presented in an easy-to-understand format that most readers and health practitioners will find convenient. If you are tasked to create a summary template for this kind of article, it is best to consider the final output’s readers in mind. Your template format and design choices should be based on their convenience and on the accuracy of the research article summary. Anyone can create an article summary template. Professors can create one to help his or her classes when writing performance reviews for topics they are discussing in class. 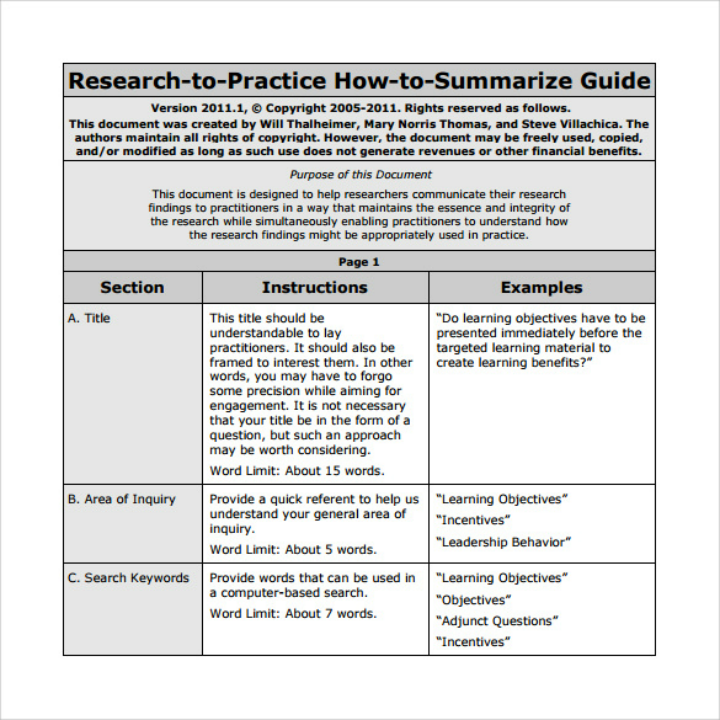 Regular students can use article summary templates as a study tool. And, anyone can create article summaries for their favorite book articles if they wish to do so. Use your own logo design or your organization’s letterhead design. Putting a school or company logo design as part of your summary template’s custom letterhead helps give a sense of identity to the template form. Typically, templates and forms that will have an identifying mark like this are taken more seriously by students and staff. Combine different layout types. There are different ways to layout an article summary template. They will all depend on the kind of information that you wish for the article summary writer to extract from the article he or she has read. For instance, a professor for an introductory creative writing class may create a summary template that will ask students to fill out the blanks on the template. This layout serves as a type of writing prompt for the students. 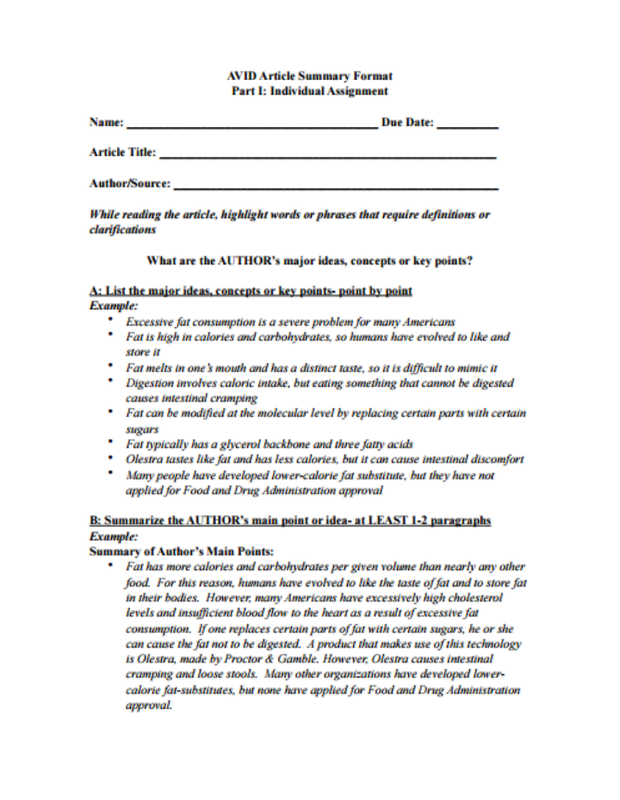 On the other hand, a summary template that just includes an outline of the necessary topics or questions to be answered on the article summary may force students to think on their feet and provide paragraphs of answers instead. Choose the summary template layout carefully to suit the learning level of the ones who will use the template. You may also see summary report templates. Include detailed instructions and examples. Another tip when formatting an article summary template is to provide a clear and detailed set of instructions. For example, provide title or header outline sample for students to follow instead of providing blocks of text as instructions. The instructions also need to be written at the top of the first page of the summary template. This way, anyone reading the template will notice it right away. Add your own watermark or citation information if you want. If you or your organization wants to be credited with creating the article summary template, you can best do this by adding your own watermark design. You may also include the correct way to cite your template form for an article. Doing this will help save time. For more tips on how to do this, check out this article on ways to write a bibliography. For all those science nerds out there, rejoice! Because we now present to you the Science Article Summary Template (shown below) as a way to make your scientific research studies easier. The article summary template above will work well for scientific articles that you want to summarize for readers who may not be that familiar with your scientific field. When writing article summaries like this, it is easy to get lost in all the scientific jargon. So, you should always be careful and keep your target readers in mind (the general public). To make it easier for your readers, just think about it as if you are explaining the scientific article to your mother or grandparents. If you think they can understand what you are talking about, then you have succeeded in creating a scientific article summary! Eureka! You may also see summary report samples. Use the summary template above to further help lessen the amount of time you will spend in digesting and condensing the article into something palatable for the masses. 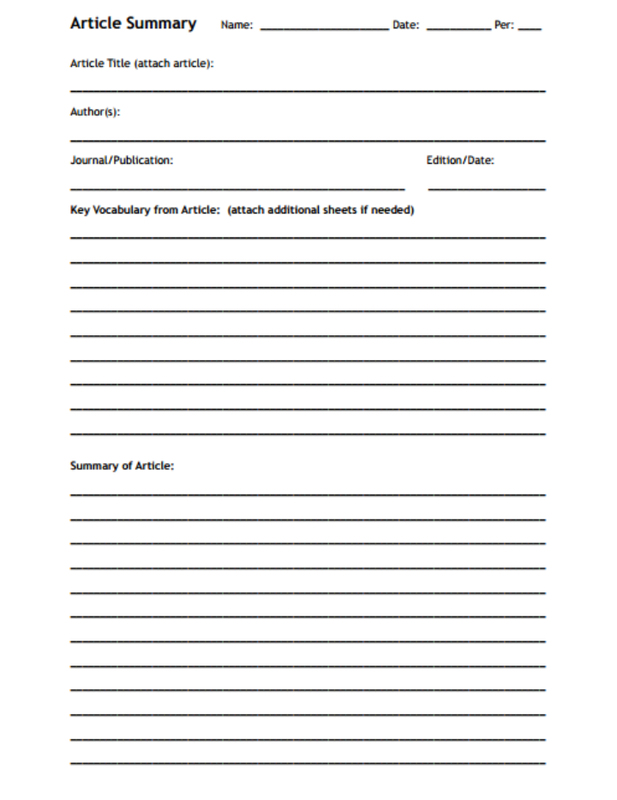 And, if your school or the organization you are working for has tasked you to create a summary template for scientific articles, refer back to this sample template and you will be all set. You may also see executive summary examples. 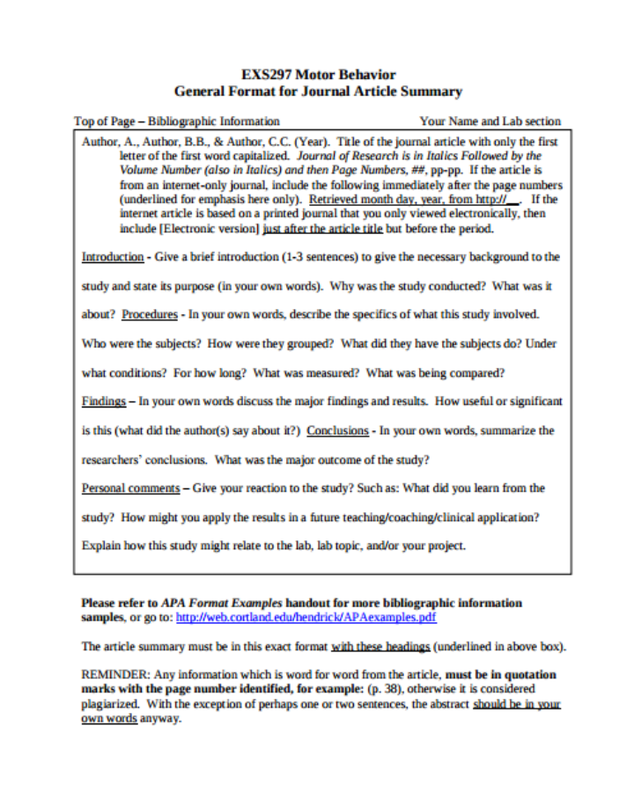 The Template for Article Summary featured below is an example of a summary template geared for the academic and scientific fields. Note the emphasis of full citations at the beginning of the template. This is a mark of how serious article summaries in these fields are taken. You may also see project summary templates. When creating a research or scientific article summary, do not forget to include sections for adding a study abstract, a summary, a review of related literature, and a conclusion or recommendations section. For more information on creating research papers, check out our ultimate guide to research papers. Are you ready to write your article summary? It is true that the first step can be the hardest. This most especially applies to writing—and it does not even matter if you like to write or not. So if you are tasked to write article summaries, getting your hands on article summary templates can be your first step. You may also see free executive summary templates. Summary templates can help you gear up for the act of writing. They help you organize your thoughts and focus on the most important parts of the article. Not convinced yet? Well, just try reading one sample article summary template shown above and you will be amazed how easily you can answer (or follow) each question or instruction. You will never notice that your hands are already itching to type away on a keyboard. You may also see marketing plan summary templates. So, get ready. Write on!